Foothills Land Conservancy (FLC), incorporated in 1985, actually began through an organization called Alternatives for Blount County (ABC). ABC started out of a concern among individuals concerned with the prospect of a 1,200 acre amusement park in Tuckaleechee Cove. Though that development never materialized, the group recognized that development and land conservation issues were increasing rapidly. ABC disbanded in 1985 and the Conservancy was incorporated and granted tax exempt statu as a 501(c) (3) corporation in June of that year. In the early years, FLC was headed by Gail Harris and limited somewhat in its activities. In 1987 Senator and former Governor Lamar Alexander joined and publicly endorsed the organization. In 1990, FLC received a donation of 25 acres of land within the city limits of Maryville from local businessman Sonny Lambert. The board put together a limited, or “green” development plan and sold the property to a local developer. FLC received $200,300 for the property. In the spring of 1992 FLC launched a national search for an executive director. While that search was under way, FLC completed its first conservation easement on Granny Belle Woods, an eleven lot subdivision. The easement is on 120 acres of common area. Granny Belle Woods was featured in several articles and in the publication Protecting the Land (2000, Island Press, Gustanski and Squires, editors). In January of 1994 FLC bought an option to purchase 4,700 acres that reached from Abrams Creek to the western foothills of Chilhowee Mountain. The Abrams Creek Campaign, chaired by Senator Alexander and Knoxville Mayor Bill Haslam, raised 1.2 million dollars. In June of 1995 FLC donated 400 acres to Great Smoky Mountains National Park (GSMNP) and 4,300 acres to Tennessee Wildlife Resources Agency (TWRA). TWRA created the Foothills Wildlife Management Area (WMA) from that donation. At the same time FLC undertook a second campaign to purchase 1,500 acres adjoining the Foothills WMA. The Cochran Creek Campaign was completed in 1997 and the land was donated to TWRA as an addition to Foothills WMA. In December of 2005, Randy Brown retired as executive director of FLC. Dr. Edward Clebsch served as interim executive director until March of 2006, when Bill Clabough joined the Foothills team. The year 2007 was one of the busiest ever for FLC. Twenty-one easements were completed, protecting 3094 acres in seven East Tennessee counties. In addition, we completed arrangements to co-hold two additional easements with another land trust. The passage of the so-called “Pension Act of 2007” in August of 2007 included provisions that liberalized the tax benefits for charitable donations through the end of 2007, making easement donations more attractive to landowners. The Farm Bill of 2008, passed by the Congress in May, re-instated those provisions, retroactive to January 1, 2008. For the latest information about available tax benefits please contact the FLC office at 865-681-8326. 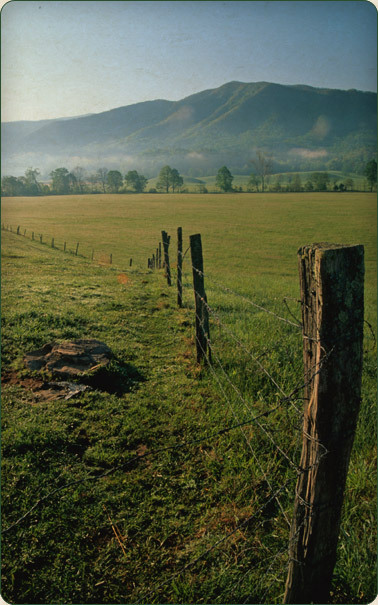 Launched in October of 2007, Foothills Land Conservancy set a goal to preserve a total of 25,000 East Tennessee acres by 2010, the 25th anniversary of the organization. We called this campaign ’25 in 25′. At the time, FLC had 17,000 acres protected through land donations and conservation easements but wanted to engage the community in the coming years and build awareness for our mission of land conservation to East Tennessee individuals and families. Through staff and board efforts, local media coverage, partnerships with Little River Watershed Association and Legacy Parks Foundation, Foothills was able to accomplish our goal in December 2009. Click here to learn more about FLC’s ‘25 in 25‘ Initiative. 2011 was a busy, banner year for Foothills! The contributions, time and resources of our Friends have allowed FLC to preserve, to date, over 30,000 acres in 18 Tennessee counties! This past year Foothills partnered with landowners on nineteen land protection projects covering 4400 acres! Recent easements include two Tennessee Century Farms in Monroe County, 120 acres along the French Broad in Knox County, a 364 tract in Blount County (formerly known as Camp Montvale) and 1700 acres within the Cumberland Plateau (Scott, Overton & Cumberland Counties). Click here to view our latest projects. It was another banner year for Foothills Land Conservancy. In 2012 FLC completed 12 conservation easement projects totaling 6625 acres – surpassing last year’s acreage number of 4400. To date, FLC has a total of 36,000 acres preserved. The total number of conservation easement agreements stands at 105, covering 21 counties! To learn about FLC’s 2012 easements, click here! To View FLC’s Annual Reports and FLC’s latest Conservation Brochure click here.